While I love the aesthetic and sustainability factor of wooden teethers, I (or my teething babes rather) seem to have better luck and garner more relief from the plastic teethers that are filled with water and chilled before chewing sessions. On another note, I was disturbed to hear about the recent recall of Hyland's teething tablets, which were the homeopathic remedy I used for Olivia when she sprouted her first tooth at three months old. Now more than ever, I am seeking non-medicinal teething soothers, and luckily, Sassy offers an adorable variety of BPA- PVC- and phthalate free teethers that fit the bill and then some. Sassy teethers feature vibrant colors and textures that are sure to entertain and stimulate babies while they sink their teeth in. 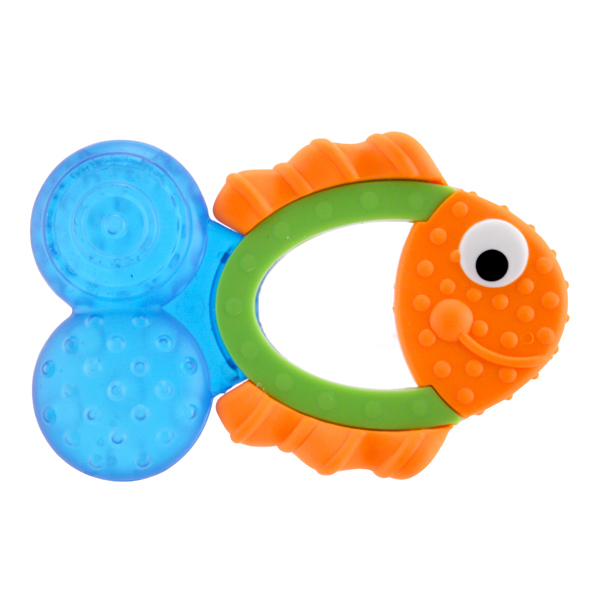 These savvy teethers double as toys that encourage babies to explore and learn about their senses. 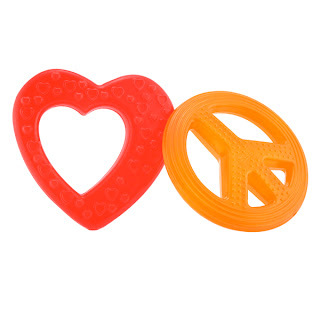 The ladybugs and the heart and peace sign come in packs of two and are reasonably priced around $4-$5. If you're looking for a way to help your little one relieve his gums, I highly recommend Sassy's engaging teething toys! 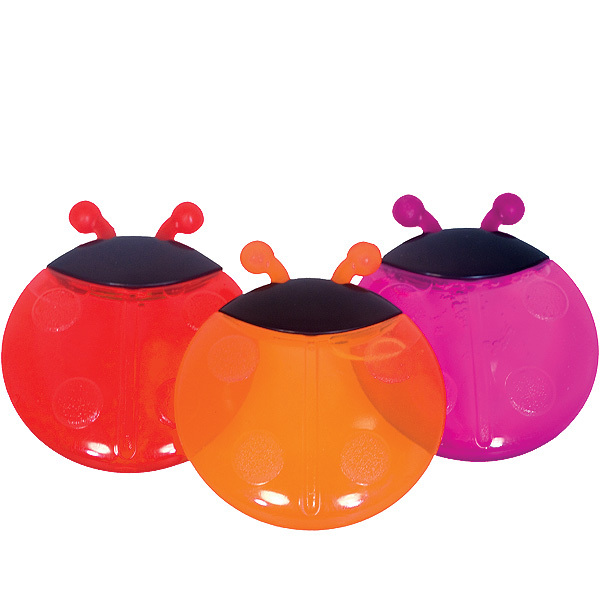 Sassy also makes delightful, non-toxic bath toys for tub time! Sassy, Inc. provided these products for my review free of charge.